Samsung is apparently going to release a lot of tablets this year. So far they have released their Galaxy Tab A series, which were the first ones to switch from the 16:10 aspect ratio from past models to the new 4:3 format that the new flagship models will include. Just like in the Galaxy A smartphones, the two tablets in the series include a metal chassis and mid-range specs. Aside from that series, Samsung also trademarked the names for the Galaxy Tab E series and the Galaxy J series. A magazine made the mistake of showing the former tablet a little ahead of time and then we got to know more details about this tablet but now, Samsung has made it official. It will apparently be the only member of this family as it doesn’t have a number after its name indicating the size of the screen, like in the Galaxy Tab A series or the future Galaxy Tab S2 series. 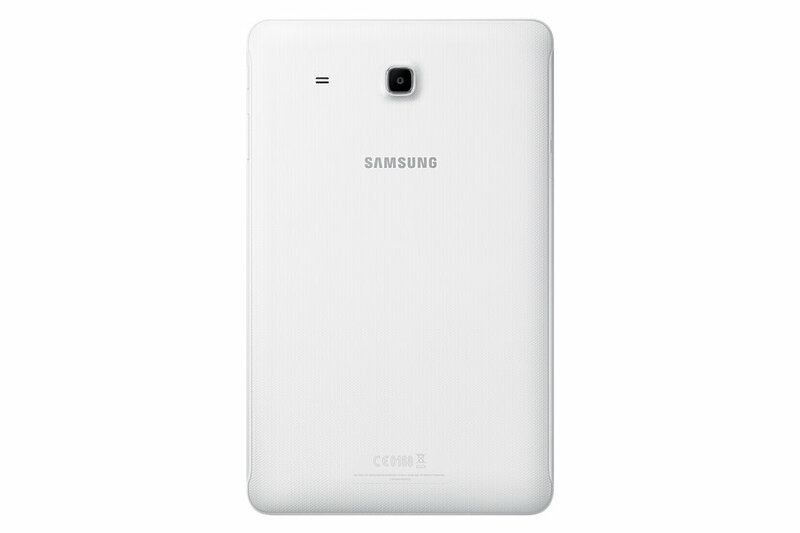 Just like in the company’s smartphones, the Galaxy Tab E, as the name suggests, is in a lower-end compared to the Galaxy Tab A, so its body is now made of plastic with a textured back and sides carved following the design of the Galaxy S6. Its 9.6-inch screen features the older 16:10 ratio with a resolution of 1280 x 800 pixels and the dimensions sit at 241.9 x 149.5 x 8.5 mm, while its weight comes in at 490 grams. The brand of the processor is not mentioned in the official site, but since the previous report was spot on most of the features including the speed of the processor, it’s probably the quad-core Spreadtrum SC7730SE at 1.3 GHz. It also includes 1.5 GB of RAM and even though its internal memory is just 8 GB it can be expanded with Micro SD Cards. The main camera in the back has a 5-megapixel resolution and autofocus while the front-facing one is 2 megapixels, the battery has a capacity of 5,000 mAh. Sadly, even when this tablet has just been unveiled it uses Android 4.4 KitKat, but it comes with some preinstalled software like Microsoft Office apps which could come in handy. It will be sold in Taiwan at the end of this month for about $225 and white is the only color option. Another model with 3G connectivity will possibly be launched shortly after, availability in other regions has yet to be announced. 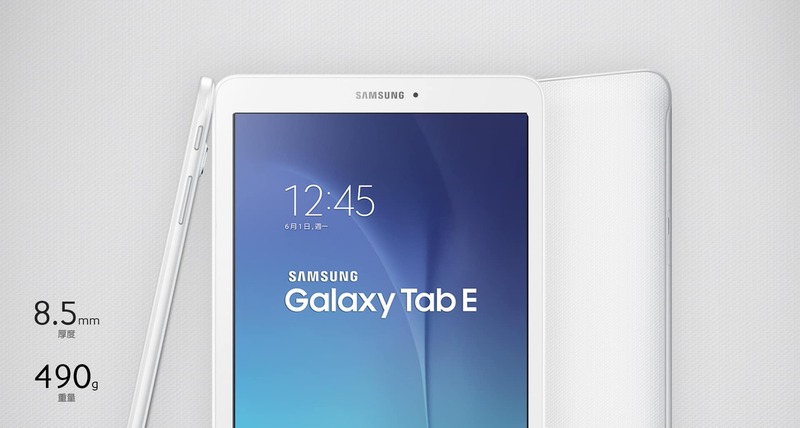 The post Samsung Launches The Galaxy Tab E In Taiwan appeared first on AndroidHeadlines.com |.